Guest post and needed reminder from the team at Hammer Prep in sunny San Diego. Check them out for all your tutoring needs. They work with students online, so you do not need to be located in SD to take advantage of all they have to offer! 1. Set up your testing schedule. 2. Don’t stress over APs. Notice the last item on the list above was AP exams. AP scores actually don’t matter in college admissions, no matter what your teachers tell you. The only thing that DOES affect college admissions is your grades in the AP class. So do well on your final, but don’t stress over the AP tests themselves. 3. Organize a To-Do list for summer. A lot of students fall into procrastination over the summer because they’ve had such a hard end of the year. Make sure you know what you have to do and when, or you risk having your senior year turn out just as hectic. Do you want help with your college applications and essays? 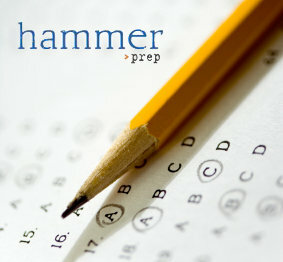 Hammer Prep is running a college application workshop for the Common Application this summer. If you’re interested in getting ahead, give them a call! The workshop’s expert guides (Brittany Maschal, Dan Elconin, and Emma Winsor Wood) can help you get everything set up so that your senior year goes smoothly with college applications.